Ragweed is determined to see the world. He leaves his family and cozy country home and sets off by train for the big city. What wonders await him: music, excitement, new friends...and cunning, carnivorous cats Silversides is the purring president of F.E.A.R. (Felines Enraged About Rodents), a group dedicated to keeping cats on top, people in the middle, and mice on the bottom. 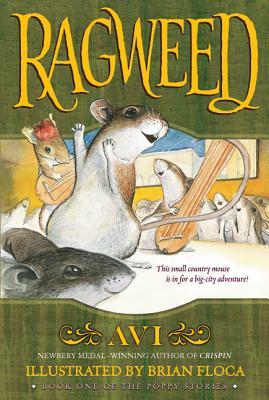 Can Ragweed and his motley yet musical crew of city nice--Clutch, Dipstick, Lugnut, and Blinker--band together to fight their feline foe?